I made something similar last night at our party! I used cucumber, nori, spicy tuna, crunchy panko and sesame seeds with eel sauce. 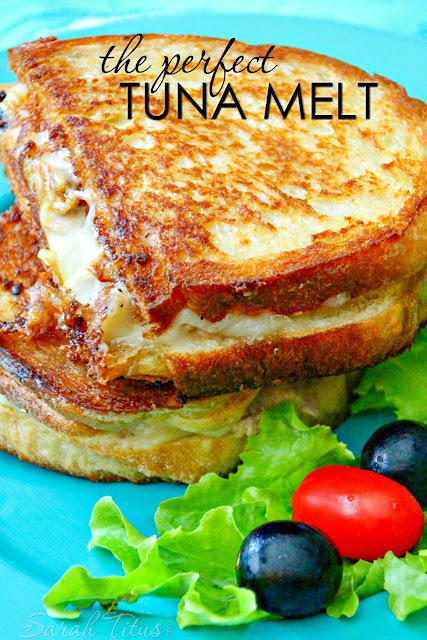 Delicious and much easier than fiddling with sushi rice especially when making so many other items! I'll have to try your recipe next time. 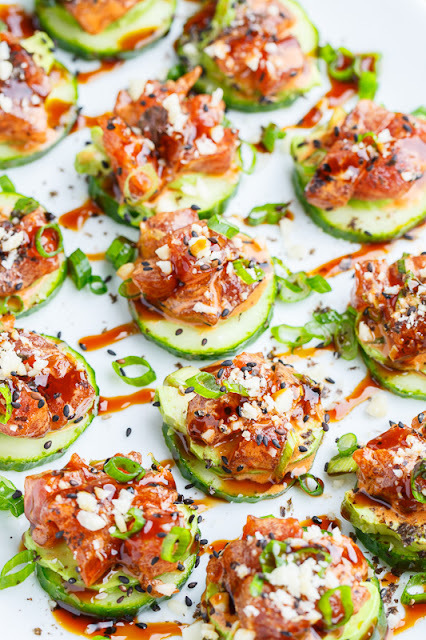 Toss the tuna with the mixture of the soy sauce, sriracha, mirin, green onions, sesame oil and sesame seeds and place on the cumber slices and avocado and enjoy!